Despite last year's flood, the booming city of Calgary is home to the hottest high-end real estate market in Canada, says a new report. 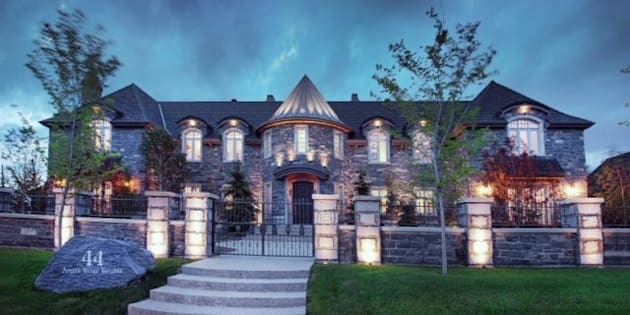 The city saw the largest rise in sales of homes over $1 million compared to 2012, and had ten consecutive months of record sales in 2013, says the report by Sotheby's International Realty Canada which analyzes luxury real estate in Canada's urban centres. "For the rapidly growing western city, 2013 proved to be another monumental year," says the report. Calgary saw sales growth of 33 per cent, followed by Vancouver at 19 per cent and Toronto at 13 per cent. In 2013, 722 homes worth over $1 million were sold in Calgary. Homes over $4 million saw the largest percentage increase, with seven sold last year, compared to two in 2012. Part of the increase is attributed to a tight inventory of single family homes and the shrinking gap between average house prices and million dollar homes in Canada. "Rising international immigration and inter-provincial migration along with foreign investment in Alberta’s resource sector has put Calgary in an enviable economic position," says the report. Calgary has a shortage of supply of luxury homes in 2014, says the report, and forecasts a positive outlook for high-end properties in the city, including the neighbourhoods of Elbow Park & Glencoe and Springbank Hills.